If you are like me, you love to shed hunt during the whitetail off-season and probably have dreamed about traveling to the west and finding big elk and mule deer sheds. 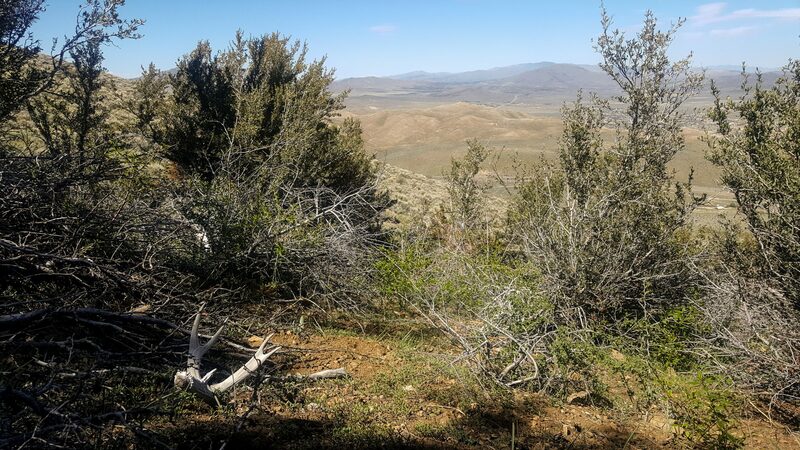 This past May, that trip became a reality for me as I had the opportunity to travel to eastern California/western Nevada and go on a mule deer shed hunting trip. Myself and my buddies made this trip very cheap by splitting costs between the three of us, flying with Frontier Air, and staying with a friend in Reno Nevada. My total cost including airfare, rental car, and fuel totaled $350. It was a very successful trip that I greatly enjoyed, I found 15 mule deer sheds during 5 days of hunting and covered 57 miles of beautiful terrain. Here is what I learned from my first western shed trip and what you can learn from my mistakes to make your future western shed trip a success. I think this applies to all hunting trips but research should be top priority when planning a long road trip. In my case, I was traveling to western Nevada and assumed that there would be plenty of opportunity to find mule deer and elk sheds within an hour or so of the Lake Tahoe area. While there were mule deer everywhere in the surrounding area, elk were far from accessible. The nearest substantial herd of Rocky Mountain Elk were over 3 hours away, and we did not have enough allotted mileage on our rental car to access this area which cut out the elk shed portion of our trip. When planning your own mule deer shed hunting trip, I suggest beginning your research on the state agency’s website where you can access unit reports and harvest numbers by species. Find an area that has substantial harvest success and herd reports indicating good winter numbers and you will find plenty of shed hunting opportunity! The early bird gets the worm, and with shed hunting this couldn’t be more true. Making the effort to get to your shed hunting destination a little earlier, like April instead of May, can make all the difference between a few sheds and a pack full of fresh antlers. Unfortunately, we were not able to make our mule deer shed hunting trip until the first week of May. 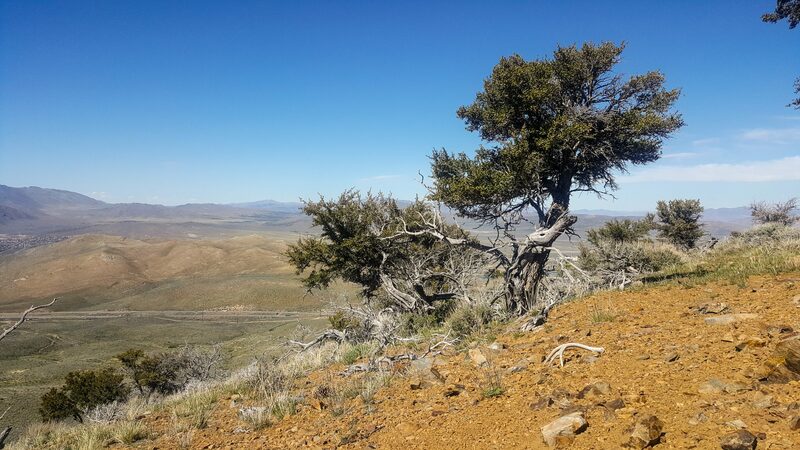 While the weather in western Nevada was beautiful this week (highs in the 70’s/lows in the 50’s) much of the public land had already been picked over. It was very difficult to find good sites with lots of deer sign that were not littered with boot tracks. If you can’t travel early and are forced to move your trip back, you may have a tougher time finding unpressured sites. But if you put in your time and keep checking out new areas you will eventually find some ground that has seen little pressure. It just takes persistence and a positive mindset to keep hammering new ground until you find a shed hotspot. Due to limited time and rental car mileage we were not able to venture far from the Reno area during our trip. Because of this, it was nearly impossible to get away from other people. Whether they were shed hunters or hikers, this amount of pressure had no doubt lead to a substantial amount of sheds being picked up before our arrival. But even with the high amount of people sign on the ground, we still found sheds. (Above) This fresh drop was laying out in the open high above the easier accessed sage flats. To combat foot traffic and improve your odds, I suggest finding public land that is a minimum of an hour from high population areas. This will lead to a better back country experience as you will see less people and more wildlife, plus likely leave with more sheds in your pack. “You can’t find them all”- if I had to pick a shed hunt motto to live by, this would be it. This truth works both ways; first, you must accept the fact that you will never find every shed, and secondly you have to realize that other hunters miss antlers too. On heavily hunted public ground this is your saving grace, so staying persistent and stubborn can lead to sheds even on the most walked properties. (Above) This old shed was tucked under up in high elevation brush within a mile of a heavily used road and trails that were covered with boot tracks. As discouraging as it was seeing boot tracks everywhere, we were still finding sheds. Just by sticking with it and racking up the hours and miles on the boots we were able to scare up some old sheds and even a few fresh ones on ground that had been hammered by other shed hunters. At times I found myself doubting whether there were sheds to find, but we never quit finding old bleached out antlers. Obviously these gems had been walked by for years. 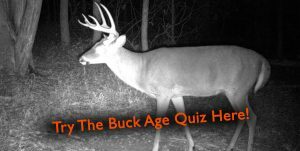 I hope that these points have encouraged you to give a DIY mule deer shed hunting trip a try and that you won’t spend too much time making the same mistakes I did this year. A western mule deer shed hunting trip is likely much more affordable than you think, and may be just the spring adventure you are looking for. I hope to see you in the future out on the mountains or posting on social media with a pack full of sheds!